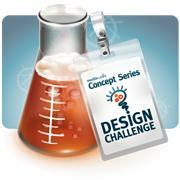 Mozilla Labs has announced their Winter 2009 Design Challenge. It is focused on improving the starting experience for the “Home tab” for Firefox users. I’m thinking this might be a fun design challenge to create a prototype and submit. The challenge has an explicit non-goal that is not to build a clone of My Yahoo/iGoogle/Netvibes, but to look at building something new. Something beyond the thumbnail/speed-dial interfaces we’ve seen in Opera, Safari and Chrome. It also has me thinking about the Newsmap treemap visualization of Google News. But this is a visualization without data, the question is what data would you visualize for a personal start page?